The plan is ever-changing...and so are we. We are discovering that some of our "best-laid plans...often go awry." We started to look hard at our model after spending a month in Sapporo. After the first week we were looking for way to spend our time. Of course it was winter and there was all of that white stuff. Based on our budget of $40 a day for accommodations, $20 a day for activities, $15 a day for food, and $10 for surprises, we are finding that a lot of the touristy stuff is out of bounds...like riding up to the top of the Sky Tower...or taking a train out to the far eastern coastline to visit a nature park...even that "amazing" museum or art gallery can have its limits. Mind you, we aren't suffering. Our blog pretty much proves that out for sure. We try to pace out our larger expenses and plan those that peak our interest the most. However even with all of this discernment, we are finding we have a lot of free time on our hands. Volunteering has not as of yet worked its way into our sphere. Language barrier and time have limiting effects on what we can do. We had this fantasy that we could simply walk into a place that interested us and offer our time...not even a possibility so far...our American arrogance is showing its face...sadly. After two full weeks in Tokyo we find ourselves down to a few "must dos" on the list and two weeks left. We've covered just about every square meter within a three mile radius of home with daily walks and wanderings. We are finding the locals are truly NOT interesting in engaging us unless there is a counter and a cash resister in between. And we aren't shy. There simply aren't that many opportunities. Folks have busy lives and we are simply another fly on the wall buzzing around aimlessly looking for a place to light and have a taste...and we get shooed away. We have been playing with the idea of limiting our long term stays to weeks instead of a month. Then the discounting factor, or lack there of comes into play. Our upcoming apartment in Osaka, through Airbnb, is costing us $1,183 or $38 a day for 31 days. If we shorten it to two weeks, then we loose the monthly discount and it goes up to $47 a day and that is over our daily housing budget. Couple the move with additional transportation cost and we are once again limited....even if it is a move just across town. In the meantime we re rediscovering small hobbies that can be contained and adapted to our lifestyle. 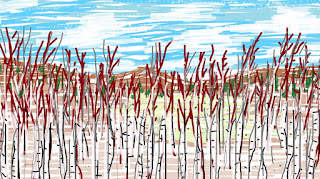 For example I am now experimenting with digital art, painting and drawing on the computer screen. 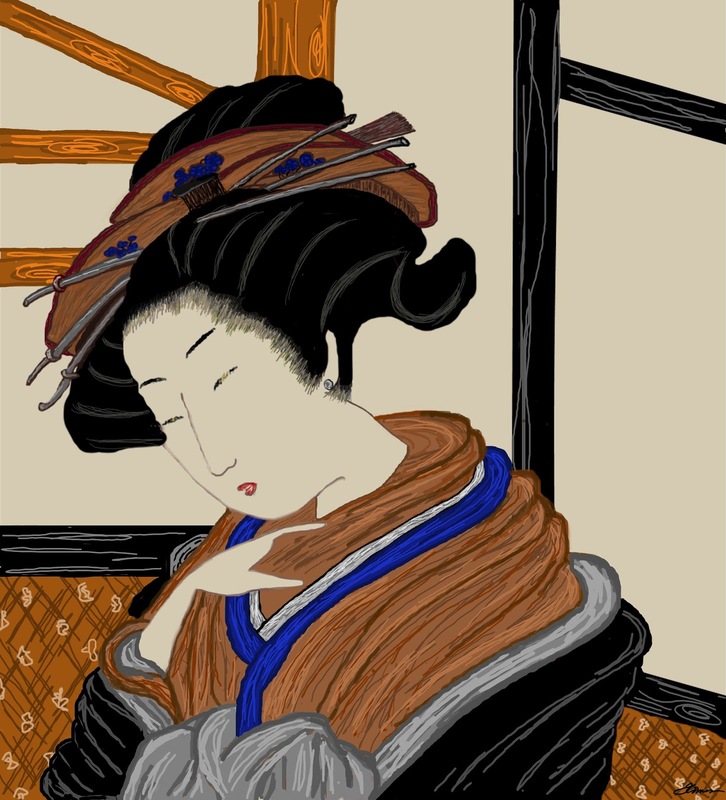 My technique is improving as I learn the program. I'm a quick study. I've downloaded a few "musical" instruments like a piano and a guitar. Composing on the computer has its challenges and it is time consuming...so there is that. Bobbie has jumped into online investing and she can research stuff for hours...and then there are all the books she reads. Looking at the next eleven months we are committed to another month long stay in Kathmandu. In between now and then are shorter periods no longer than two weeks so we will learn something from that...long enough...not long enough...who knows. We have folks joining in for short stays along the way. This will help. Being nomads is certainly an evolving process. We are figuring it out. It takes time. Seems we have plenty of that...smile. Stay tuned. 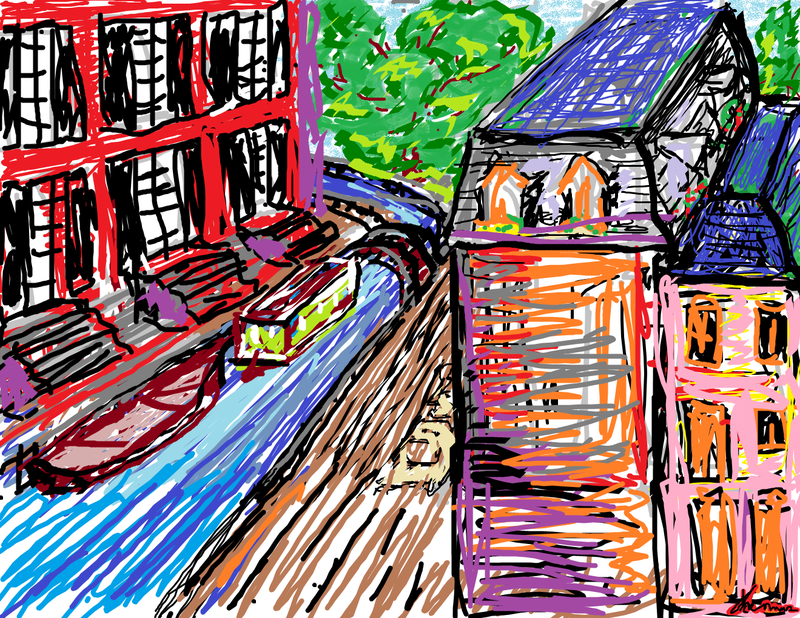 Figuring out the brush and color palate in a sketch of Amsterdam. 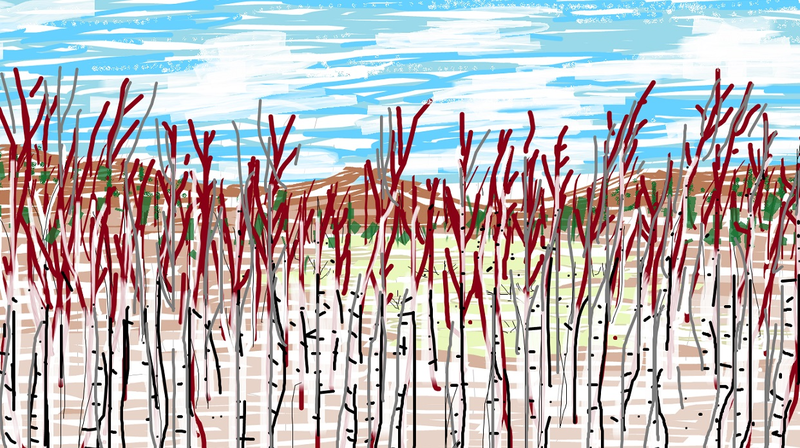 Birch forest along the Trans-Siberian Railway. The Tsai or Alai Mountains from the Trans-Siberian Railway. This one is a work in progress. 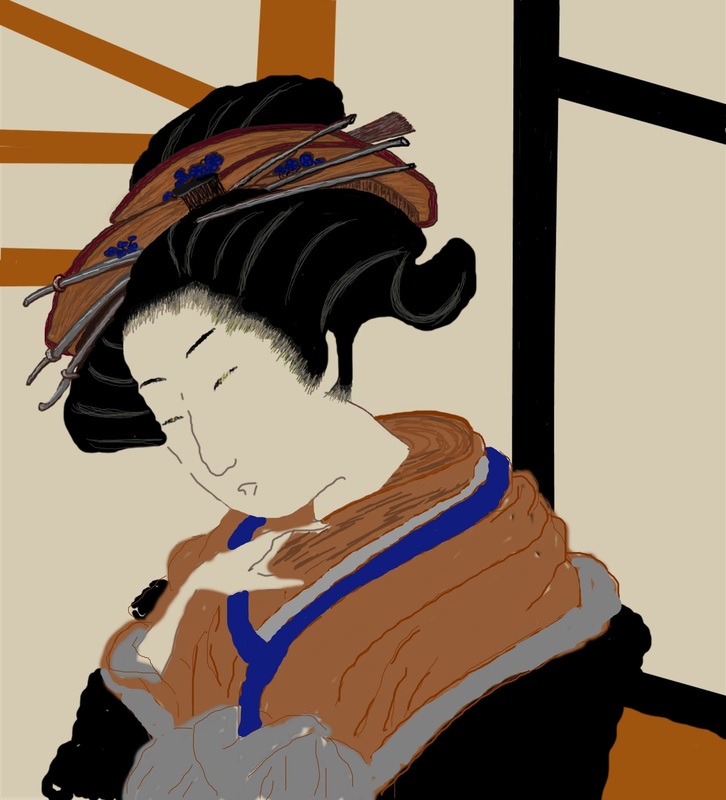 I finished the hair yesterday and started on the kimono today. Now that I have discovered some techniques I'm getting dangerous. 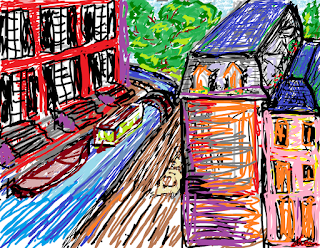 I may invest in an art pad and pen to go with my PC. That will take me to a whole new level.